Painterly prints in a sophisticated palette inspired by an unexpected Southwestern adventure. Our cotton lawn is light and crisp, perfect for gathered summer garments, delicate apparel and lightweight quilts. 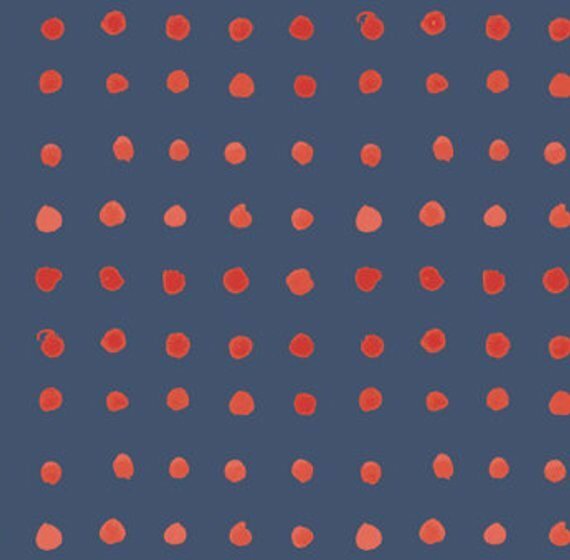 Painterly dots in two tones of coral red on an indigo ground, this lightweight lawn is ideal for gathered summer garments, scarves, delicate apparel and summer weight quilting. 100% organic cotton lawn, 45" wide.